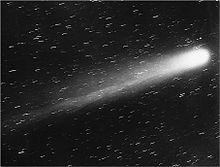 Who doesn’t have a fascination with comets? Mercurial, fickle, entirely dramatic in all ways, these nomads of the heavenly sky form bonds with our souls. From expectation to delivery, these babies take years to put in appearances in our nighttime skies, and, like any baby, one never quite knows what to expect until its head pops out. Sure, who doesn’t remember Hale-Bopp? Back in my Manhattanite days, I lived a stone’s throw from the Empire State Building. Out my bedroom window, there was the perfect view of H-B in the fading daylight, competing with the city’s electric glow, pulsing with energy and brilliance. I knew just where to look, and trained my eye in that sweet spot until its head poked from behind the dark curtains and the hazy feathers of its tail teased its way into the night. From its heavenly stage, it delivered a show guaranteed to enthrall the most jaded of Broadway critics. 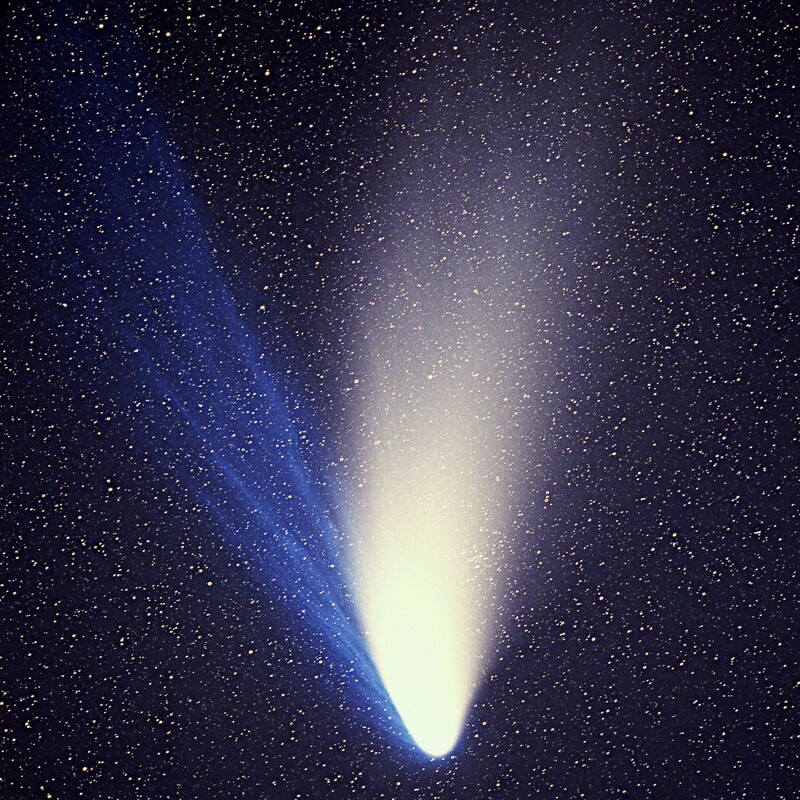 And when it departed after its celebrated run, Hale-Bopp imparted the warmest of memories, leaving an unforgettable performance in its wake. But as fans of ISON know, it ain’t all grand, despite the promises of glory. My first experience with disappointment, comet-wise, occurred during the sixth grade. For months I climbed up my brother’s ham radio tower to access the relatively lower dining room roof and perched up there, looking for something, anything, in the dusk along the horizon. Nothing. Then bit by bit, tiny wisps of something resembling a pinhead with a tiny thread appeared. Is…that…IT? I remembered thinking, even dragging my mother up there (well, she peeked out of an upper floor window) hoping it grow larger and start wiggling that ginormous tail. But it never did, and eventually it faded, returning to the cosmos from whence it came. Let’s jump to 1986. 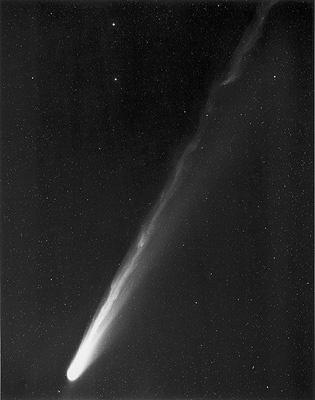 My grandfather, then well into his 80s, used to tell us when he, as a kid, remembered beautiful Halley’s Comet dominating the evening skies, literally stopping people in their tracks to observe its majestic tail. “Oh, it shimmered like you can’t imagine,” he’d say, and in the relative darkness of the area of Pennsylvania mining country where he lived, there were few people who didn’t take in a lengthy stare in wonderment of nature. He shuffled out in the backyard of our New Jersey home, looking up towards the heavens only to see this tiny smudge, barely visible to the naked eye. “Really?” he said, as I pointed it out to him. “C’mon. That’s not it; that’s a plane.” As I assured him that blurry patch was not a plane but indeed the major disappointment of the decade, he sighed and said, “Well, at least I saw the real thing. Shame you won’t,” and went back inside. He’s right, you know, because as much as I’d like to hope I’d be around in 2061, the get-real part of me says I won’t. So what other comets lie in wait for us out there? Well, literally dozens of comets are discovered every heart. Most one can’t see without a telescope or a good set of binoculars, but there’s generally a decent selection from which to choose. On October 19, 2014, Mars has a good chance of being brushed by the tail of Comet A1 Siding Spring’s tail – a great event and excuse to beg, borrow or steal a telescope.